Thanks for the vicarious thrills, Hairball. Thanks for your reports and pictures,Hairball. Indeed! Cheers and thanks, Hairball! Just some brief snippets of random thoughts and pics of five shows in six days...it was like being in the eye of a hurricane. Arrived home yesterday afternoon, and hard to imagine so much happened in such a short amount of time - I even found some time to visit Buck Owens' Crystal Palace Museum while in Bakersfield...Yeehaw! Not to mention eating some of the greatest BBQ in the universe at a hole in the wall shack on the outskirts of town - those country boys know how to do it right!!! Will post a last small batch of photos soon from the Bakersfield shows (1st night balcony view, 2nd night right up close), and will probably have a bit more to say about it all as time marches on. Maybe some more shows down the road? In a great old theater near your town or a cattle field out in the mid-west? Edited 1 time(s). Last edit at 2018-05-08 18:59 by Hairball. I was just about to post the same article bye bye johnny! "I just want to say to the crowd, we see you. We feel you all there together with each other and with us. It’s a rush to be there. We know you are fellow travelers because we have seen you through the years. Seeing you, empowered to be where you want to be for our shows, we see ourselves. "We peak and crash regularly. as good unpredictable r&roll has always done". The paranoid in me cannot help think this is a jab at the safe sanitized r&roll Stones have been giving us for years now. Edited 2 time(s). Last edit at 2018-05-09 22:13 by Hairball. Edited 2 time(s). Last edit at 2018-05-09 22:26 by Hairball. St Louis here I come . I did the Mezz 2nd row center. Good for you jumpontopofmebaby - I know how much you wanted to see him this year. Of the dozens of times I've seen Neil, I've never seen a pure solo acoustic show. Many times he's opened with a mini-acoustic set, but then makes way for the full on band (Desert Trip being a good example). If it was closer to my area I'd be happy to go as I'm sure it will be fantastic - have a great time! -New albums (new originals and archival releases) . -Mini tours (Crazy Horse and solo). 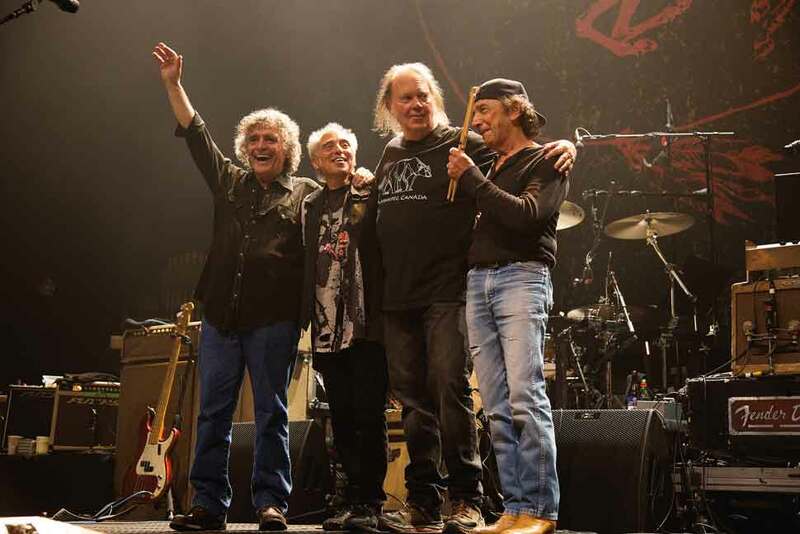 -Four or five Crazy Horse albums to be released. Still sorting through Bakersfield photos to post (both shows) and trying to narrow it down...so far I'm down to about 30 keepers! Will post one last barrage of photos soon - maybe including a photo of the tasty BBQ meal I had at a roadside shack on the outskirts of town! Neil is a very busy man these days. The first time I saw Neil Young it was a solo show. I was 17 or 18 years old. It was in Dallas TX. He blew me away. That was about 35 years ago. I have been waiting for this chance since then! Just want to say THANKS so much Hairball for all the news & pics. What an adventure you had! Neil is the man! thanks for the heads up, two shows at the auditorium. maybe even detroit on the 3rd. Two Neil w/Promise of the Real shows just announced at the very small and historic Lobero Theater 30 miles up the coast in Santa Barbara - June 19 and 20. Seating capacity 600. Price range: $67.50–$107.50 - I'm in for both nights 3rd row center! Edited 2 time(s). Last edit at 2018-06-16 08:32 by Hairball. The pessimist in me thinks Neil does everything the Stones should do but never will, like playing smallish shows and having exotic setlists. Edited 1 time(s). Last edit at 2018-06-18 15:09 by dcba. Thanks dcba, I've been floating around in the clouds since last months Fresno and Bakersfield shows, and since these two new shows went on sale I think I might have died and gone to heaven haha - very unreal. Had a feeling something like this would happen - similar to the two Pomona Theater shows in between Desert Trip weekends, but never in my wildest dreams would I have guessed the Lobero Theater right up the coast. I've been to several shows there in the past, and it's a very special/small theater. Coincidentally, Promise of the Real on their own just played there not long ago, and I was tempted, but had other things going on. But when Neil AND Promise of the Real are playing there together, the slate is clean and nothing else matters - clear the decks and get out of my way! Kind of makes the upcoming massive Arroyo Verde festival madness seem like an afterthought, but I'll still be there to show my support ha. Another stunner for the history books. Those young whippersnappers of Promise of the Real bring a different energy level to the show, and while I still have a soft spot for the old school Crazy Horse, POTR was exceptionally great as they've been each time I've seen them in the past. Blasting off with an explosive Rockin' In the Free World, the "young-uns" that make up his band were leaping and jumping all over the place with Neil holding down the fort shouting out the sermon. Then things quickly took a turn towards some rarities with five consecutive tunes from the fairly recent Le Noise album (2010), some of which have never been played. I've always loved that solo album with just Neil on his own with his effects laden guitar, but given the band treatment they were given a new life. In fact aside from Love and War, the rest were hard for me to recognize at first which made them all the more special. But then it was back to the vintage comfort zone with Human Highway where Neil brought out his Hank Williams acoustic followed by the Harvest classic Out on the Weekend, and finally Harvest Moon's soothing Unknown Legend. And just when you thought it would be smooth sailing with some more old classics, things got even weirder (in a good way) when Willie's sons Mica and Lukas were each given the spotlight to play one of their own tunes. If they were crappy tunes it might of been a waste of setlist space ha, but they were both enjoyable and you can tell Neil was totally into it...like a proud old uncle playing along with his little protege's. That being said, glad all the band members weren't given a solo spot to take up precious setlist time, so enough of that then haha. From there they unleashed a crazy long version of Love and Only Love with Neil pouring it on coaxing out unworldly sounds from his guitar, while the band members were leaping about and scurrying around the stage in a frenzy. Then some feedback laden rumbling chaos towards the end with Neil almost begging and pleading "Love and Only Love" repeatedly until they finally slam it shut. Looking like he had just ran a marathon, he didn't even take a moment to catch his breath when he suddenly blasted out the opening riff to Hey Hey, My My (Into The Black). Heavy duty distortion that literally shook the small building, it felt like one of those nasty California earthquakes that I've never been able to get used to after all these years, but this was a sonic blast of ultimate euphoria. If that wasn't enough, the band returned for a couple of encores, and with a tribal drum beat thumping away, the band blast into another stomper of a tune with F*!#in' Up..."Dogs that lick and dogs that bite, hounds that howl through the night"...the imagery was haunting, and coupled with the ferocious playing by all, it was truly breathtaking. One more final encore with Roll Another Number, and off I went into the night for the 30 minute drive down the coast back home. Being these were warmup shows, it was hard to tell that there was anything that really needed to be warmed up, but there were several miscues and minor mishaps. An out of tune guitar (in which he had his tech quickly fix), feedback on his harmonica (which he asked another tech to fix while saying "the audience deserve better"), but that's all I remember and they actually added to the live-in-the- moment intimacy of the 'warm-up' show. One things for sure, I doubt any of the other 600 people in attendance would have had any major complaints regarding mishaps/miscues as the entire show was sublime, and the hundred or so hopeful people waiting outside in a line for for any extras that might have become available certainly wouldn't have minded. Still wondering if any of those hopefuls were able to get in - for their sake I truly hope so! *While a strict "No Photo" policy was in effect with a few flyers posted around, the bouncer at the front of the stage gave a short spiel to all of us saying yes you can take a few pics, but be respectful. As I'm always respectful, stealth, and subtle while taking pics with my cheap Sony Cybershot, I was able to take a few quick decent ones during the show, as well as a few prior to the show. And so it goes, another chapter happens tonight - same place, same time, but more than likely almost with 100% certainty definitely not the same setlist! Edited 1 time(s). Last edit at 2018-06-20 21:54 by Hairball. Damn that sounds amazing. Neil is one that I haven't managed to see yet. I better take my chance when it comes up. 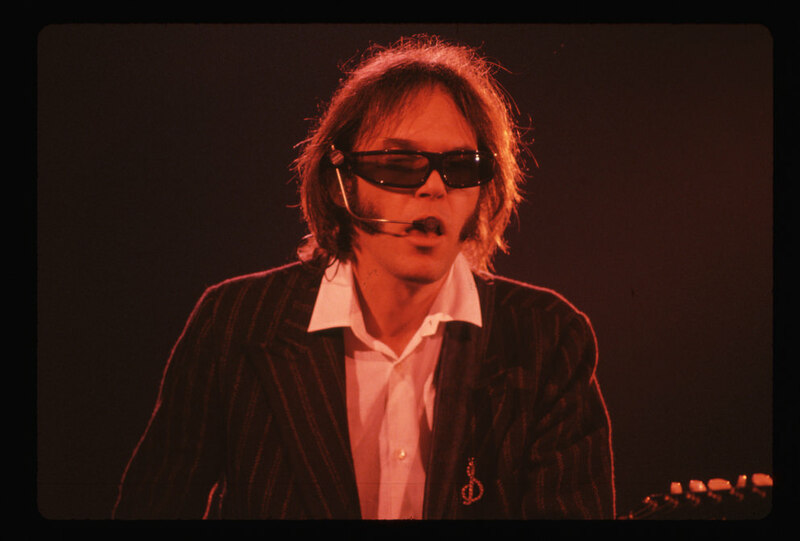 Live stream for tonight's show via Neil Young Archives. This is great! Thank you very much, Hairball! beautiful california. this was a warm-up show? neil's coming thru june 30th & july 1st. i thought it was a solo show. Two surprise shows with Promise of the Real at Lobero Theater were announced on Friday as "warm-ups" for this weekends Arroyo Seco Festival where they're headlining saturday night. Well it was two warm-up shows...but now a third show was announced earlier today for tomorrow night for three consecutive shows. Will I be there? You betcha. Very quick review: Tonight was better than last night. Flashback to Fox Theatre in Pomona '16 when they opened with a 20+ minute version of Like an Inca. Edited 1 time(s). Last edit at 2018-06-21 10:14 by Hairball.